I only remember some parts, which were indeed very cool, in the sense that shitting your pants at 30 rotations/minute is cool. This is an odd film. It's a marvelous technical achievement and an almost perfectly constructed suspense piece. 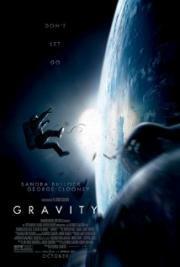 George Clooney and Sandra Bullock are great. The plot involving Bullock's character is ... bad. It's maudlin and unnecessary. I still really love this movie ... but it's largely by ignoring about 15 minutes of screen time.